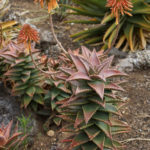 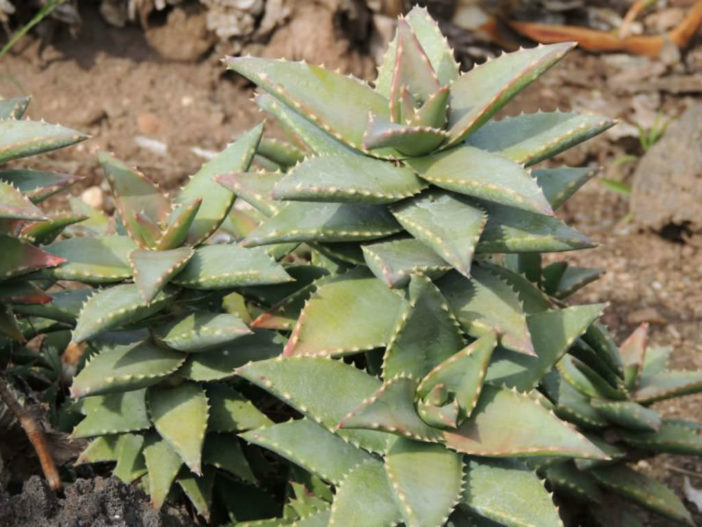 Aloe ‘Hellskloof Bells’ is an upright growing, shrubby, succulent plant up to 2 feet (60 cm) tall, with short, lanceolate, gray-green leaves that blush maroon in full sun. 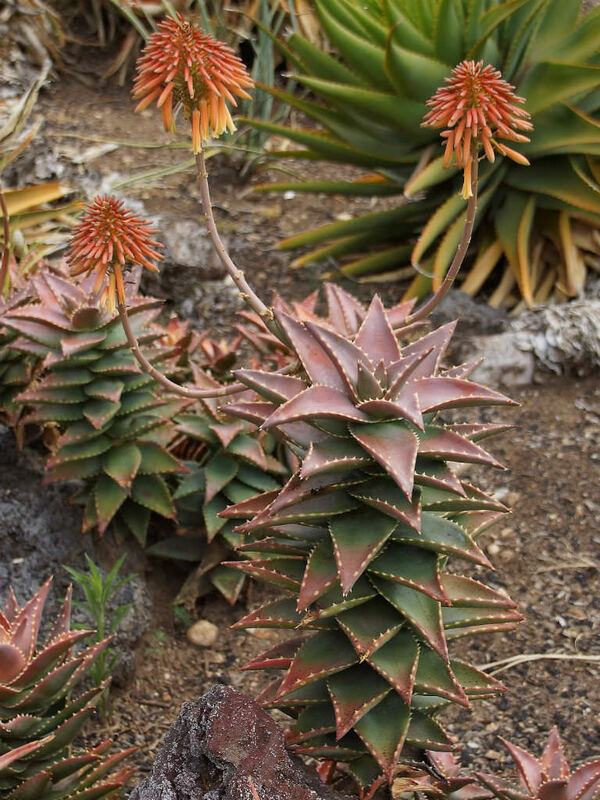 It produces a capitate head of pendent, tubular flowers that are pink in bud and open to a soft pastel orange. 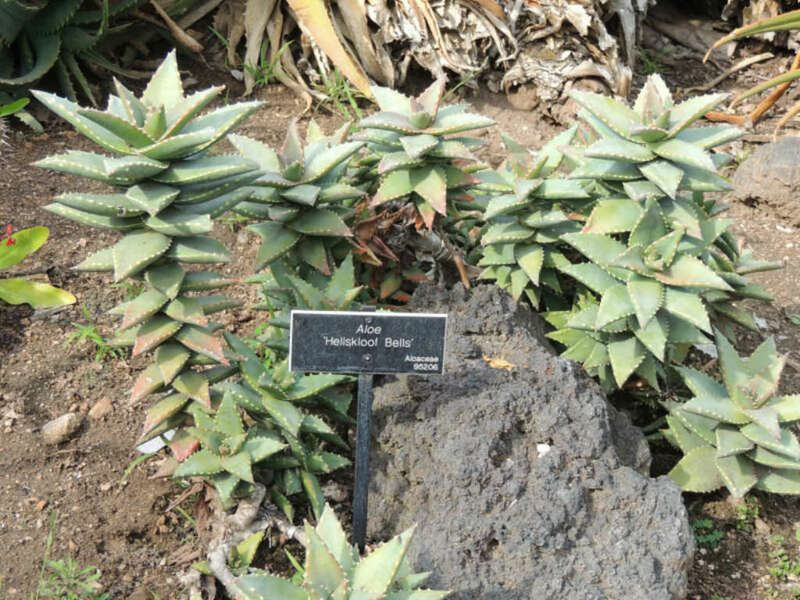 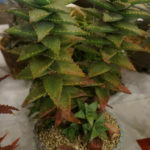 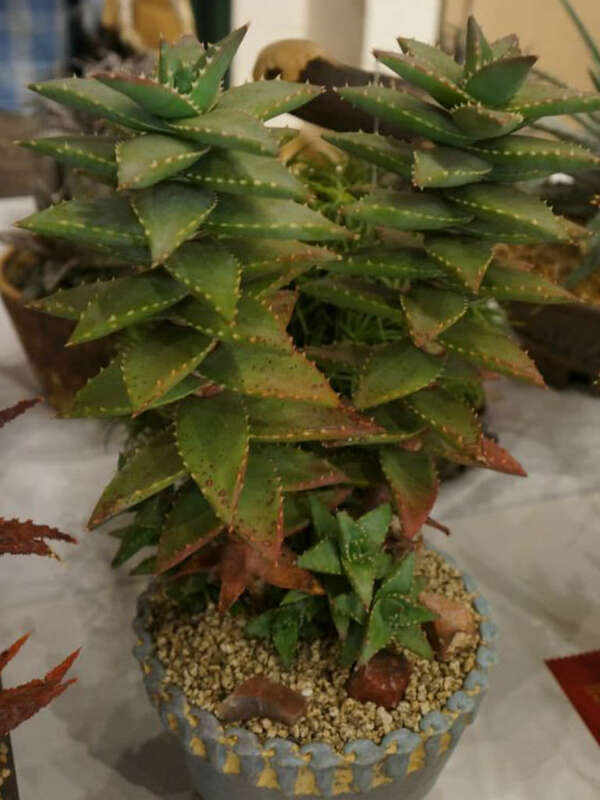 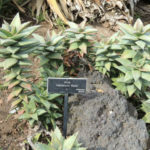 It is a hybrid between Aloe pearsonii and Aloe distans.